The Ola Grimsby Institute has over a 40 year history of success in teaching Orthopedic Residency programs with a basis in manual therapy, offered throughout the U.S., Europe and Asia. The orthopedic residency program is accredited by the APTA through the ABPTFRE. All aspects of evaluation, soft tissue work, joint mobilization, spinal manipulation, exercise and education are thoroughly covered. One-to-one clinical mentoring strengthens the resident’s experience beyond simple continuing education coursework or online lectures. The Orthopedic Residency can be completed two ways: On-Site Residency or Independent Study Residency. Strengths of the Orthopedic Residency program include a foundation in basic sciences and an evidence-based background in clinical practice. With an emphasis on differential diagnosis and critical thinking, the program takes you beyond simple classification system to determine diagnosis and intervention. Methods to improve clinical reasoning and problem solving which will assist with the development of a patient diagnosis as well as a plan of care. Stop guessing and know exactly what you are treating and how you will impact the patient. Interventions taught will be manual therapy based with emphasis on soft tissue techniques, articulations (i.e. oscillations and stretch) joint mobilizations, extremity manipulation and spinal manipulation. 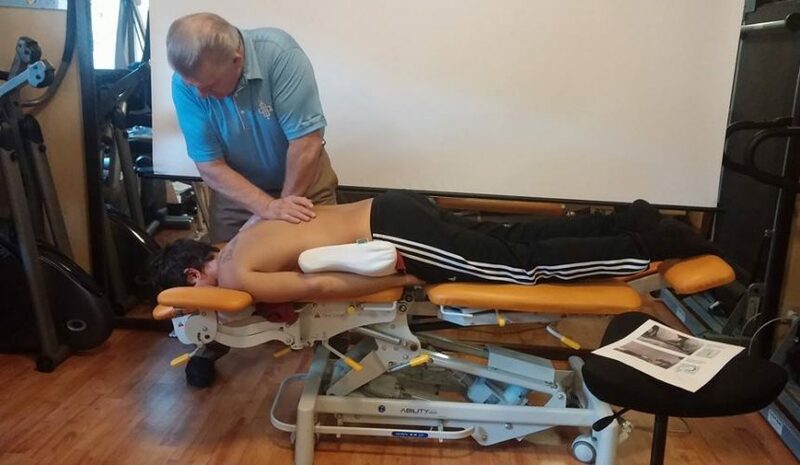 The Orthopedic Residency program of The Ola Grimsby Institute includes manual therapy techniques from the different schools and countries. Residents learn how to select between different techniques, and how to dose these interventions, based on the need of each patient. Hands-on courses and mentoring improve not only critical thinking but the skills necessary to perform mobilization and spinal manipulation. The orthopedic manual physical therapy profession is in constant evolution. Models for explanations of our work are consistently undergoing fundamental changes; at the same time, explanations previously accepted within the discipline are now regarded as being incorrect. A significant strength of the program is an integrated exercise curriculum teaching specificity of exercise dosage, design and progression. This exercise curriculum has the foundation in Norwegian MET (Medical Exercise Therapy), taught in the US under the name Scientific Therapeutic Exercise Progressions (STEP). 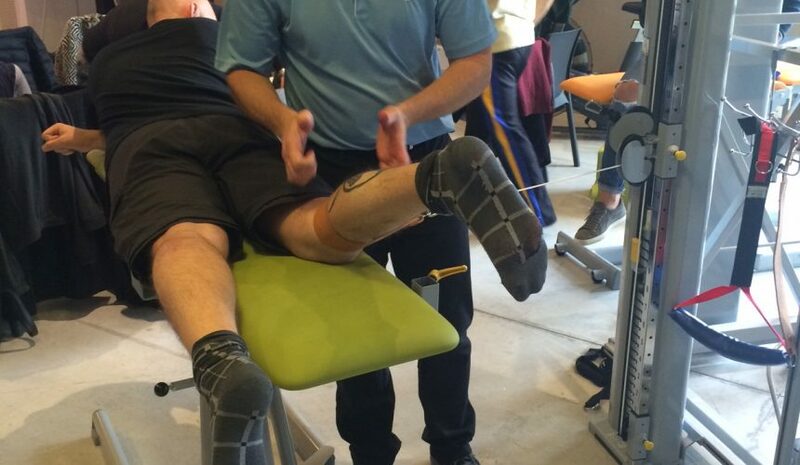 Learn how to apply evaluation, manual work and exercise for an optimal patient outcome. Signifiant strengths of this curriculum include individualized exercise dosage, design and progression. Residency programs start in February and end the following January. So if you are finishing in the Spring, you have time to enjoy working and relaxing after completing your degree prior to starting an Orthopedic Residency program. If Residency seems like too much right now, a Manual Therapy Certification (COMT) stretched out over 1-3 years might be an easier road to start building your clinical skills and confidence. The COMT can also be applied later for credit toward an Orthopedic Residency, see the Transitional Residency option below. How Can I Pay for Residency? If money is an issue, there are also Residency employment opportunities that often provide full tuition with full-time employment. There are three ways to complete the same program. Pick the one that best fits your budget, geographic location, time-line or learning style. Please see our course catalog for complete hour breakdown of program requirements. Best when employed at a clinical site or corporation sponsoring the Residency program, or you are close enough to travel to the teaching location. The on-site program is for students living in, or traveling to, a local hosted class. The didactic and coursework portion consists of 24 class days (typically 12 weekends) over a 12-month period (including Practical/Written Exams as the last weekend). This program is for local groups that have up to 10 residents working with a local instructors. Program Cost: On-Site Residency Tuition and final examinations $9,940.00. Residency employment opportunities can provide full tuition benefits with full-time employment. This program is for individuals that do not live near a host city for the residency program and are great self starters and learners. There is a greater reliance on online learning, but this allows residents to take the program anywhere ein the US and to maintain their current employment. Typically these students are required to travel to complete the 6 seminars associated with the program, as well as to complete the required 1:1 clinical mentoring hours. Multiple clinics and locations are available for mentoring. You can ask your employer for tuition assistance to cover this program, as this is often a better tax advantage to an employer rather than paying salary and having your pay the tuition yourself. You may also consider Residency employment opportunities with past graduates or instructors that cover tuition . Program Cost: iResidency (Independent study program) and final examinations: $7,445.00. This program is for residents that have previously completed an OGI certification program in orthopedic manual physical therapy (OGI CCP or COMT). Residents are given credit for previous coursework, building on this curriculum to meet the requirements, and obtain the clinical skills, associated with the residency program. The certification program can be stretched out over 1-3 years, with the transitional residency program being a 12-month program from February to January. This option allows to Resident to spread their instruction out over time, as well as the cost for completing Residency. 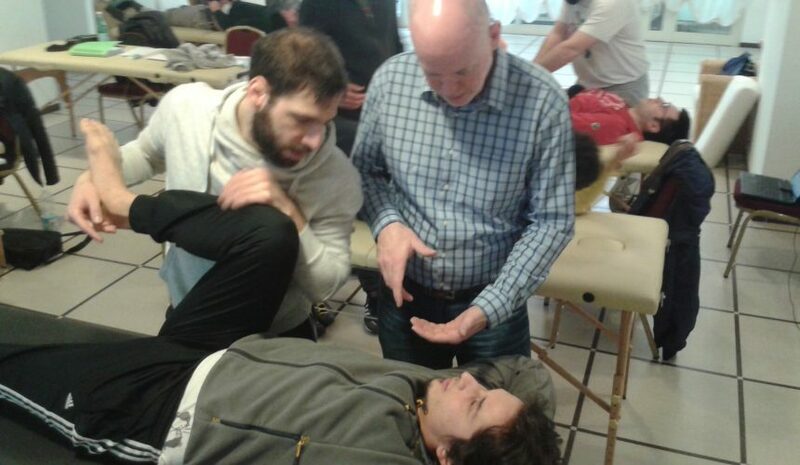 6 Seminars: 2-day courses: MT2 – Manual Therapy of the Cervical Spine, TMJ and the Upper Extremities, MT3 – Manual Therapy of the Lumbar Spine, Pelvis and Lower Extremities, MT6 – Introduction to Spinal Manipulation, STEP1 – Shoulder and Upper Quarter, STEP4 – Lumbar Spine and a 3-day Clinical Problem Solving (MT5) course. *Tuition includes payment for the MT2, MT3, MT5, MT6 and STEP1, STEP4 seminars. All Models include 1:1 Clinical Mentoring Hours – 150 hours with an OGI Clinical Mentor or Faculty member. There is no additional fee for this clinical supervision; however, the student is responsible for all costs related to performing this clinical experience. All Models result in a Certificate of Completion, awarded for those that complete either of the three program models. The research component is optional, with a Doctorate of Manual Therapy (DMT) awarded upon successful completion of the program along with the research. Students to not have to complete research to complete their Orthopedic Residency program. If they which, however, earn a DMT the research component is required in addition to completing all Residency requirements. 150 hours of Clinical Supervision for all 3 models is FREE! During the program, residents are responsible for all travel and lodging costs that may be incurred for seminars and clinical supervision hours. Improving critical thinking, manual therapy evaluation and treatment skills, including spinal manipulation, are significantly enhanced through the clinical mentoring experience. The OGI’s Orthopedic Residency program does not currently use the central admission system through ABPTRFE (RF-PTCAS). Applications must be made directly to The Ola Grimsby Institute. After completing the application to the school, and enrollment agreement to the Residency program is required. First step is to apply to the school Application. Scan and email your application, and all necessary documentation, to office@olagrimsby.com. Second step is to fill out an enrollment agreement for the Residency program of your choice from one of the three options: Full Time Residency, iResidency: Independent Study, or Transitional iResidency from CCP or COMT. Scan and email your enrollment agreement to office@olagrimsby.com. Third step – start you program and begin your path to clinical mastery in orthopedic manual physical therapy. Students do not have to complete research to complete their Residency program. If they wish to earn a DMT degree, the research component is required in addition to completing all Orthopedic Residency requirements. • Research: Students must have an end result of Institutional Review Board (IRB) approval for a clinical research study. This will involve choosing a relevant topic, performing a review of the literature, developing a methodology, and learning to and submitting the proper paper work for IRB approval to perform the study. This is an accepted practice among university faculty for the purpose of performing research. IRB approval will be necessary to obtain of the degree of DMT. Research Portfolio: DMT Research Portfolio Research Portfolio must be completed to receive DMT title and Degree. 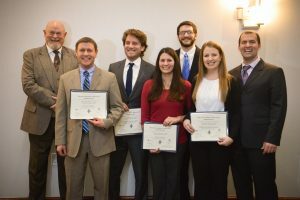 The Orthopedic Residency program has been taught nationally and internationally since the 1980s, prior to the formation of accrediting bodies for residency programs. Since the formation of the ABPTFRE, the Orthopedic Residency program has been accredited by the APTA as a post-professional clinical residency in orthopaedic manual physical therapy.